You need to read Part 1 - Basics before you read this tutorial. In the previous parts of the tutorial, we mainly focused on how to write custom visualization types. 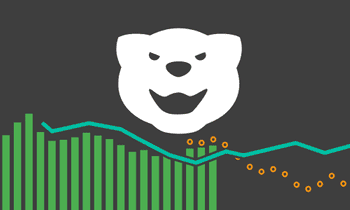 Beside custom visualizations Kibana has some more extension points. One of this extensions points are field formatters. A field formatter can be selected for any field in the settings for a specific index pattern. It will then be used when displaying the values of this field and it can transform or present it in another way, then the plain data. This will register the trend.js file in your plugin’s public folder to the field formats. In all current Kibana releases (as of Kibana 4.4.1) the fieldFormats array is not used correctly. As a workaround for this Kibana versions just add your field format to the visTypes array instead. It will work since the trend.js file anyway needs to register itself to the appropriate registry, so it doesn’t matter in which array in the index.js it appeared. See #6040 on GitHub for progress on this issue. The file will contain a simple provider function, which will create the formatter class. In our case we name it TrendProvider. This function will be registered in the last line to the field formats registry. Inherit the FieldFormat class from ui/index_patterns/_field_format/FieldFormat which is done in the first few lines by using lodash. The id is the unique identifiert for that field format which should be as unique as possible, because Kibana uses it to reference this field format. It wouldn’t hurt to use a prefixed id (with your personal/company’s id in it). The title of the field format is the string that will shown to the user when they want to select the appropriate field format in the settings page of Kibana. The fieldType array contains all field types, for which this formatter works, i.e. all types for which it will be shown when editing an appropriate field in the Kibana settings. Valid types in this array are: number, boolean, date, ip, attachment, geo_point, geo_shape, string, murmur3 (Murmur3 plugin hashes), unknown (unknown field type). The actual conversion is done in the _convert function of your class and we will come to it in a bit. Last but not least your provider has to return the field format class you just created. For the sake of convenience we don’t check for 0 values here and only add an up or down arrow behind the value depending whether it’s positive or negative. If your plugin is now loaded correctly you can go to any index settings in Kibana, edit a number or percentage field and should see your Trend formatter in the select box of formatters. If you use it for a field the arrow will be appended to the value wherever a value of this field is shown. // The return value of this function can contain HTML, which will be rendered. The text function is exactly the same as if you would have specified a function directly to _convert as shown above. The return value of the html function can contain HTML markup which will be rendered. 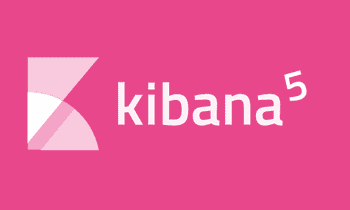 The HTML function will be used whenever Kibana is able to render HTML in the place it needs to show a value (e.g. the Discover Tab, Visualizations, etc. - nearly everywhere) and the text function will be used in some places where HTML wouldn’t fit well (e.g. when applying a filter on a dashboard to this value, the value shown in the filter bar will be rendered as pure text). For the HTML function Kibana will also pass the field itself as a second parameter to the function. This can be used, to retrieve some information about the actual field, you are formatting, e.g. field.type to get its actual type (e.g. if you are supporting multiple field types). But be aware, that this value (the complete field value) might be null or undefined in cases where Kibana can’t successfully determine a field type, e.g. when showing values of aggregation results. This second parameter is not available for the text method. To see a full example have a look at the trend.js file on GitHub. Field formatters can be more complex and e.g. bring their own settings to let the user customize the formatting. 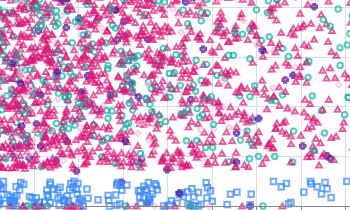 If you want to create a more complex field formatter I recommend having a look at the existing formatters in Kibana. Several of them contain more complex implementations with settings (e.g. the Color or the Date formatter). 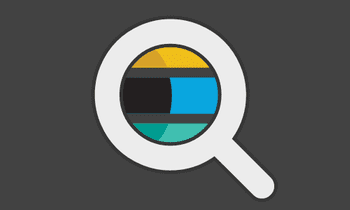 If you have any questions feel free to leave a comment, contact me otherwise or use the official Elasticsearch discussion forum.